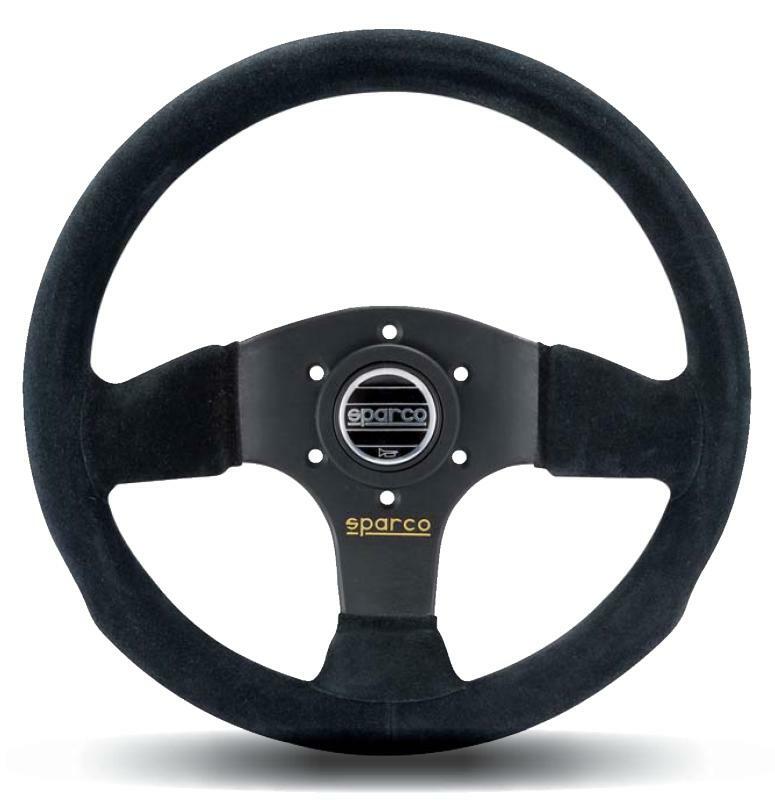 The Sparco P300 steering wheel is a 300mm diameter, 3 spoke flat steering wheel trimmed in black suede with a Sparco logo. 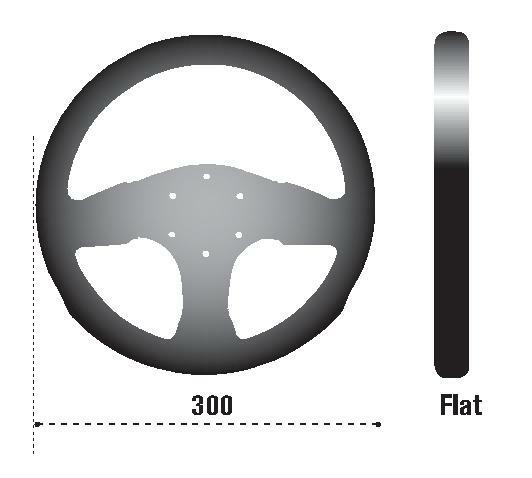 It is a competition steering wheel designed for use in saloon racing or rally cars. Supplied with horn button.